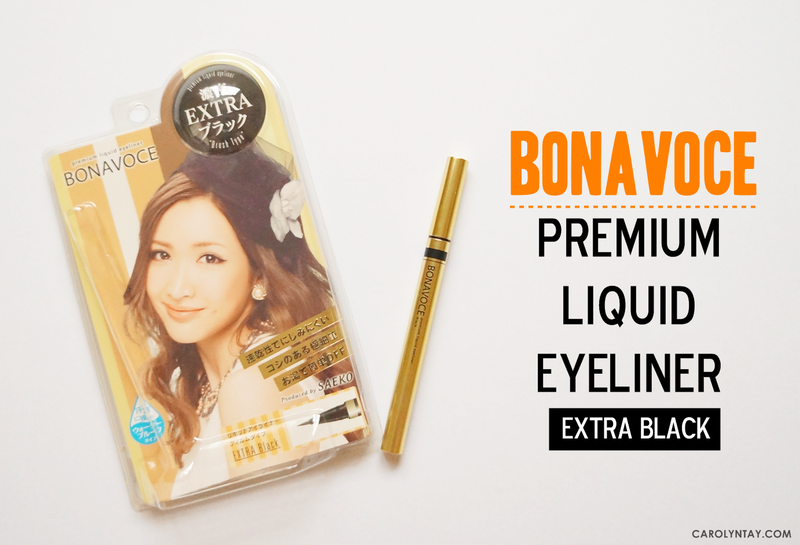 Ohayo ♥ I know I have been reviewing too many liquid eyeliners in this few months but this eyeliner deserves a review! 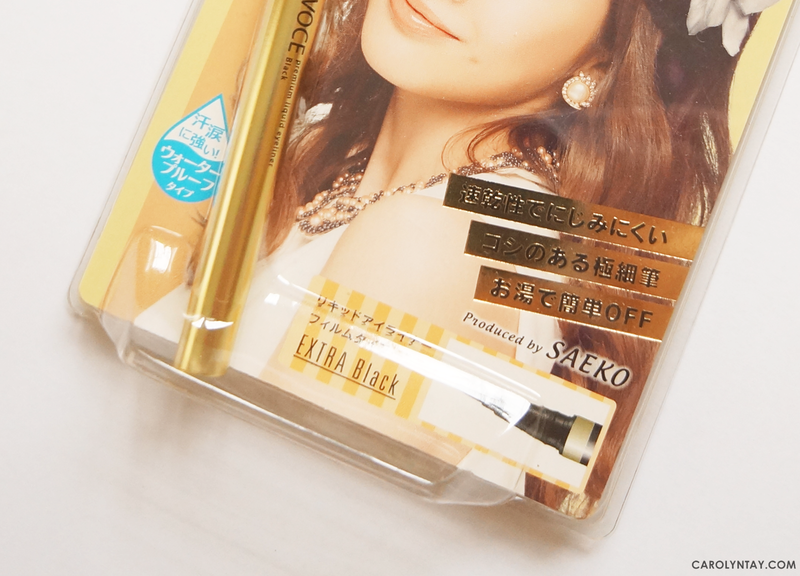 I finally got my hands on a rare Japanese product which is the Premium Liquid Eyeliner in Extra Black. I've always wanted to get it and HiShop finally bought them in! 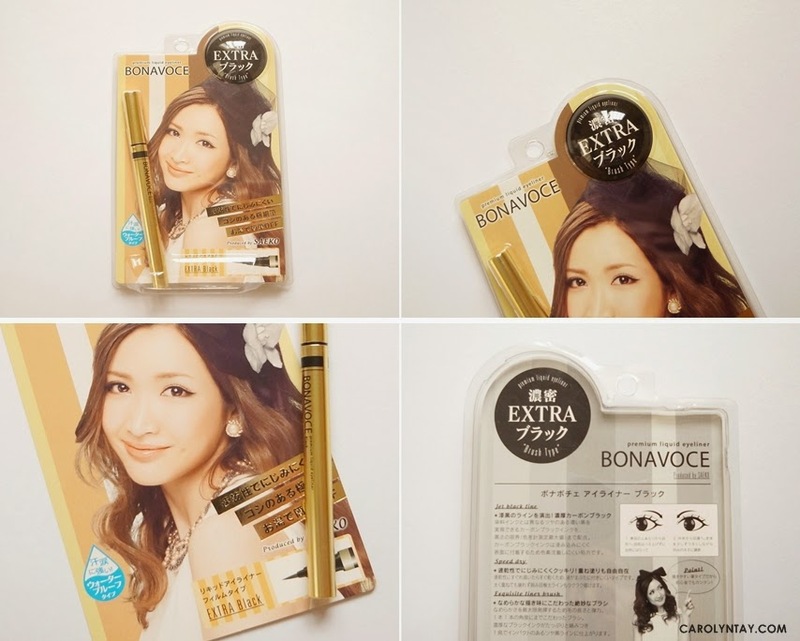 BONAVOCE is an eye makeup brand produced by Saeko Dōkyū, an active model in Japan's fashion industry, TV personality and actress in Japan. 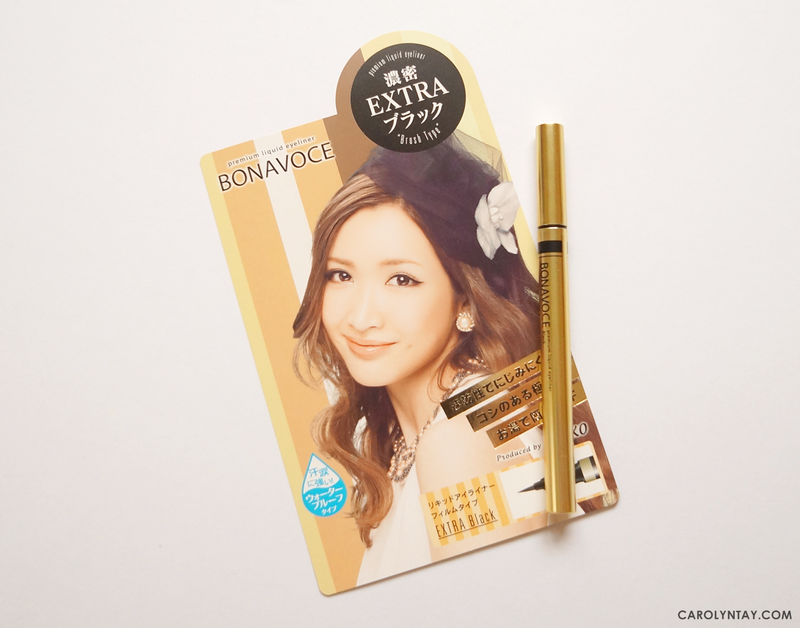 Being familiar with cosmetics, Saeko knows what she wants in her mascaras and eyeliners! 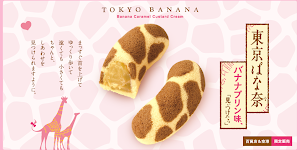 Her products were introduced and promoted at the popular Tokyo Girls Collection. The product didn't state that it is waterproof but it is stated tear and sweat resistant on the cover. 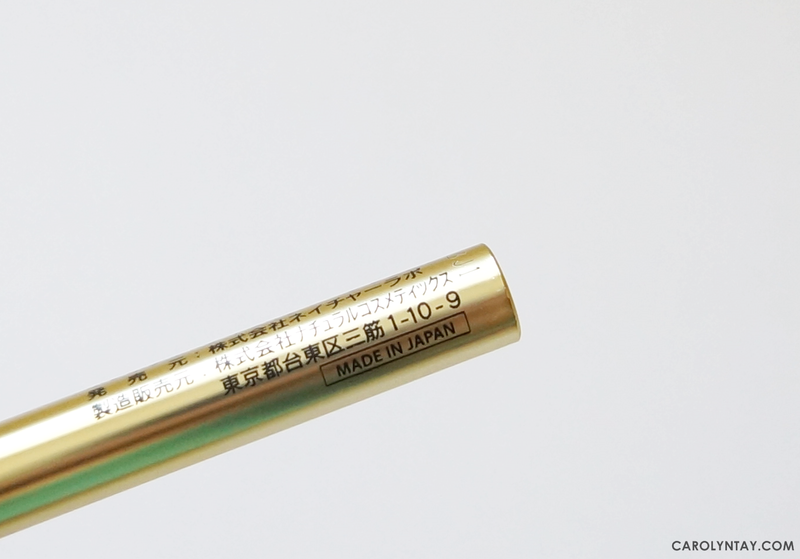 Lovely gold chrome coating for the eyeliner. The brush tip is pretty long and pointy. Contains the blackest possible (maximum colorimeter measurement) carbon black ink which can produce a lustrous dark black colour, clearly different from a thin black die ink. 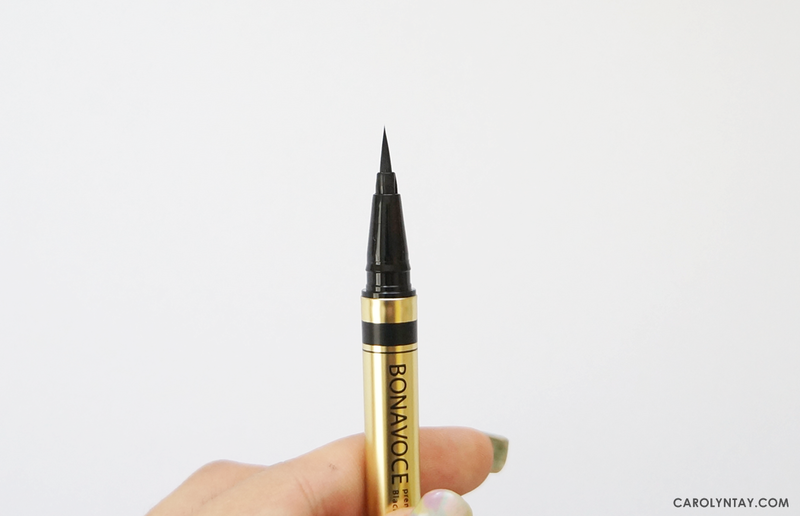 This eyeliner dries quickly after use so that the liquid doesn't stain your eyelids. You can easily outline the eyes or draw a thick line as it doesn't smear even when layered thickly. The brush specially designed with bristles of a specific length and elasticity as well as a unique angle for each bristle. The dense black ink amply adheres to the brush and draws a striking, lustrous black line by just one stroke. This is one of my most favourite liquid eyeliner that has jet-black ink and a very good brush applicator! I would strongly recommend this liquid eyeliner because it has intense black colour, quick dry, smudge-proof, and total-control pen liquid eyeliner! Easy to dispense ink, just close cap and shake! to get a 15% rebate on your purchases in HiShop! 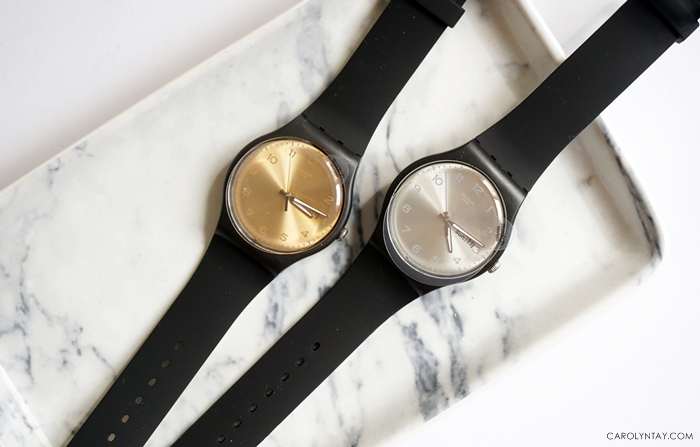 For those who purchase above RM50, you are also entitled for a free delivery nationwide.